Posted 28.09.2016 at 09:09 in blog by admin / Comments Off on Dental Cleaning and Polishing for smile enhancement. Daily intake of food stuff and beverages results in the development of a thin, tenaciously adherent layer of remnants on the surface of teeth and gums. This layer known as dental plaque gets yellowish and blackish with the passage of time. The dental plaque layer can be easily removed with the help of regular tooth brushing using a good quality tooth brush and fluoridated tooth paste from visible tooth surfaces and cleaning of teeth surfaces between adjacent teeth using especially designed handled threads known as dental floss. To get rid of all such problems get in touch with Albuquerque New Mexico Dental Cleaning Professionals. If left untreated and ignored, dental plaque layer gets hardened and mineralized due to the deposition of calcium ions from saliva in the mouth. This hardened dental plaque layer gives rise to tartar deposits which harbor the visible surfaces of teeth as well as surfaces below the gums. Tartar deposits cannot be removed with the help of simple tooth brushing, flossing teeth and mouth rinsing with mouth washes. These deposits impart darkened, yellowish and blackened appearance to your teeth ruining overall smile and esthetic profile. Professional dental cleaning procedures in the form of scaling and root surface debridement followed by polishing are required for the removal of tartar and smoothening of cleaned tooth surfaces. Call Albuquerque New Mexico Dental Cleaning professionals for further help. Albuquerque New Mexico 24 hours emergency specialist cosmetic & restorative dentist Dr William C Gardner at NM Family and Cosmetic Dentistry PC has well-equipped state of the art dental office for cleaning and polishing teeth affected with dental plaque and tartar deposits. Q. WHAT ARE PROFESSIONAL DENTAL CLEANINGS? A. Professional dental cleaning procedures involve complete removal of the soft dental plaque bio-film layer as well as hard tartar or calculus deposits from the surfaces of your teeth with the help of especially designed ultrasonic scaling equipment. These ultrasonic scalers have special tips which vibrate at high speeds dislodging the calculus stones from supra-gingival and sub-gingival tooth surfaces. Small sized calculi which remain on the teeth after ultrasonic procedure can be removed by using manual curettes. Q. WHY DENTAL CLEANINGS ARE NECESSARY? A. Tartar or calculus deposits have the ability to harbor periodontal pathogens and calcium ions on the surface if left untreated. Further build up of microorganisms and stones can occur with the passage of time resulting in an unsightly appearance of teeth, bad smell from your mouth and detachment of connection between gums and teeth. When tartar deposition spreads below the gums on the root surfaces, it becomes difficult to remove these foreign particles. Eventually, loosening and mobility of teeth develops leading to tooth loss in the long run. Q. WHAT IS THE MAIN PURPOSE OF CLEANING YOUR TEETH? A. Professional dental cleaning and polishing procedures aim at the complete removal of tartar deposits and tooth stains imparting attractive and beautiful smiles to you. Clean and whitened surfaces of teeth result in boosting your self-esteem, confidence and appeal at work and in social meetings. These procedures remove calculus and dental plaque layers leaving the tooth surfaces clean and smooth in order to prevent further accumulation and sticking of harmful microorganisms. Regular oral hygiene maintenance through regular tooth brushing, flossing and mouth rinses can be more effective and beneficial following dentist performed dental cleanings. Q. IS THERE PAIN DURING DENTAL CLEANING AND POLISHING PROCEDURES? A. 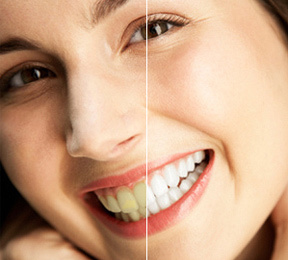 Most people find it very comfortable and painless to opt for professional dental cleaning and polishing appointments. Ultrasonic instrument used for removing hard tartar deposits employs tickling vibrations to loosen large fragments. Water coolant is best for cooling down the frictional heat during this process. Local anesthesia can helps in case of discomfort. Conscious sedation is available for anxious patients as well. A.Thre is some degree of transient sensitivity following professional dental cleaning procedures. Fluoride gels is in use by the dentist for prevention of this occurrence. You have to desensitize the tooth paste and mouth wash at least twice daily for a week or month. Do you have cosmetic defects in your teeth? Is it making your smile less pleasant? Is this owing to decayed, missing, crowded, crooked, mal-aligned or mal-posed teeth? You can visit your 24 hours emergency Albuquerque New Mexico dentist Dr William C Gardner. Book an appointment at NM Family and Cosmetic Dentistry PC. He is available throughout day and night. He focuses upon best solution for improving your dental and oral health conditions. Call Albuquerque New Mexico Dental Cleaning Professionals.right now.